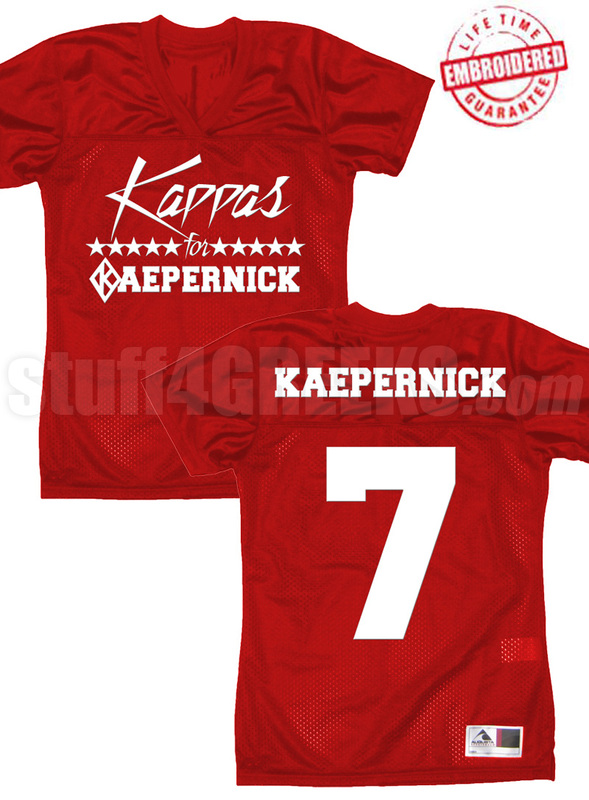 Red Kappa Alpha Psi football jersey with "Kappas for Kaepernick" on the chest, Kaepernick across the back, and the number seven at the middle back. A portion of the proceeds from your purchase will be donated to The National Police Accountability Project (NPAP). 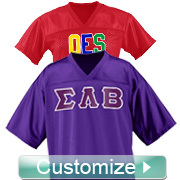 Kappa Alpha Psi Fraternity, Inc. also receives their portion through the fees we pay to be a licensed vendor. contributing to an organization that is taking ACTION.